The Fourth Frog Blog: I said "milk, bread, hot dogs..."
oh, this totally made me lol. Thanks for starting my morning with a smile. It's funny that he bought frozen French toast. Whenever I see people loading up on milk, eggs, and bread before a storm I always joke about how they will have plenty of French toast to get them through. Jeff would only buy what I told him most of the time. If he added something it would be a box of cereal or something small lol. 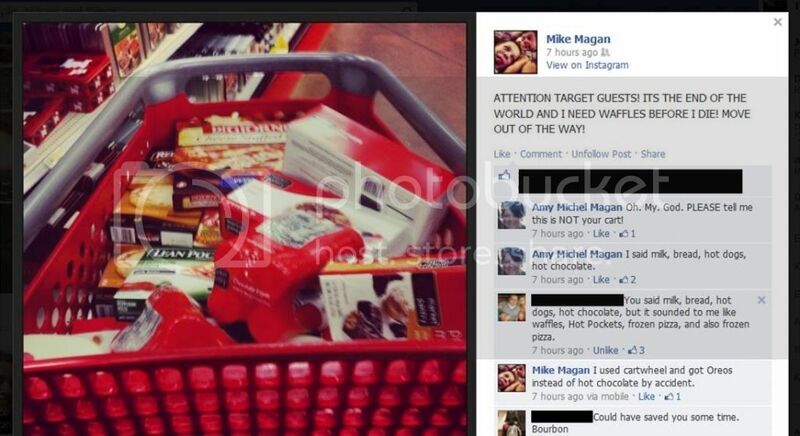 Looks like mike would blow the grocery budget. That is beyond awesome! Now excuse me please while I go warm up a mug of Oreos.